I recently created some Miami-Dade County land-use maps for another fantastic Miami-based blog: TransitMiami.com. Transit Miami is an online web journal dedicated to Smart Growth-oriented land-use policies, and multi-modal transportation in South Florida. I’ve made some minor cosmetic modifications to those maps (e.g., giving them a signature “Miami Geographic” north arrow), and made these newer versions available here at Miami Geographic too! 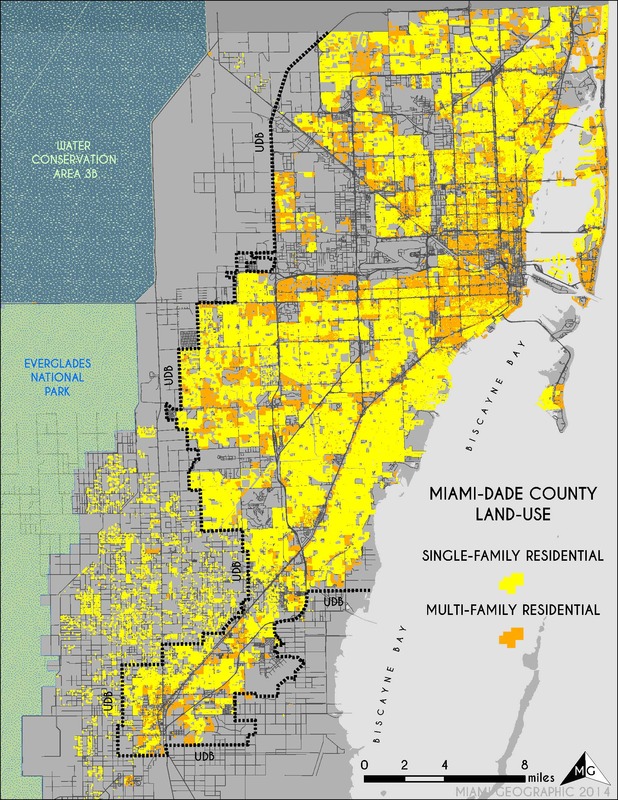 Residential Land-Use in Miami-Dade. Source: Matthew Toro. 2014. Commercial Land-Use in Miami-Dade. Source: Matthew Toro. 2014. Industrial Land-Use in Miami-Dade. Source: Matthew Toro. 2014. 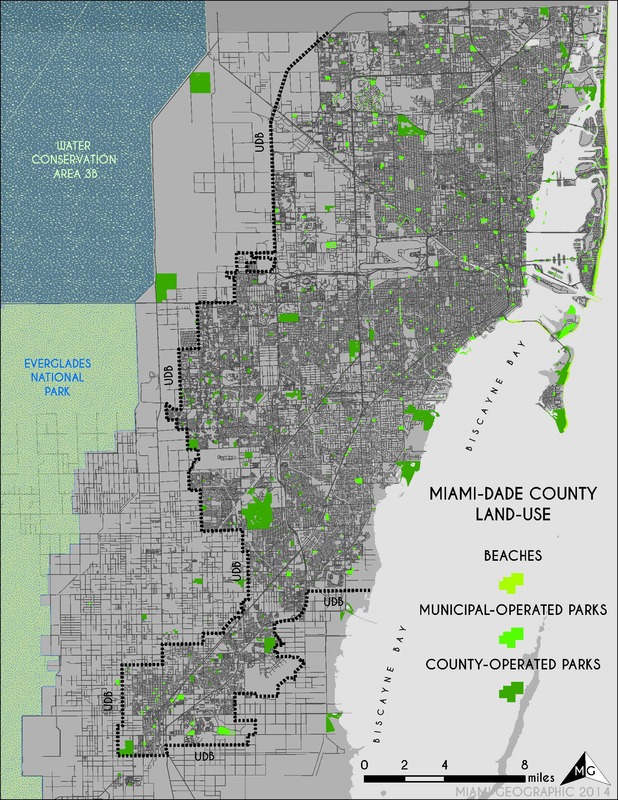 Park Land-Use in Miami-Dade. Source: Matthew Toro. 2014. 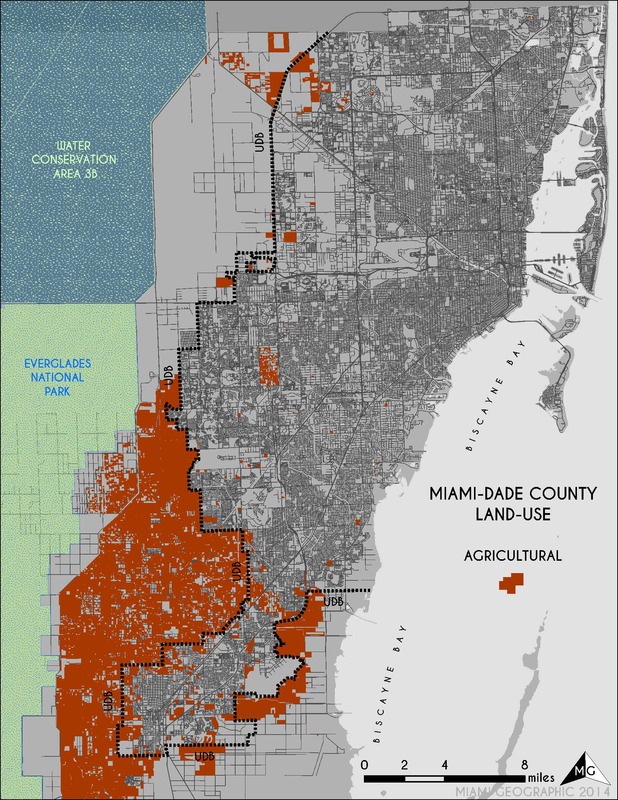 Agricultural Land-Use in Miami-Dade. Source: Matthew Toro. 2014. ‘Mixed’ Land-Use in Miami-Dade. Source: Matthew Toro. 2014. As this blog evolves and matures, I’ll be posting additional maps, data, analyses, etc. for your geographical consumption. Enjoy! I was wondering if the data used for your land use maps can be shared for academic research. I think I mentioned it last time, but how is Mixed-use defined. It seems like Midtown Miami and downtown/Brickell have a number of Mixed Use buildings that I don’t see on this map.